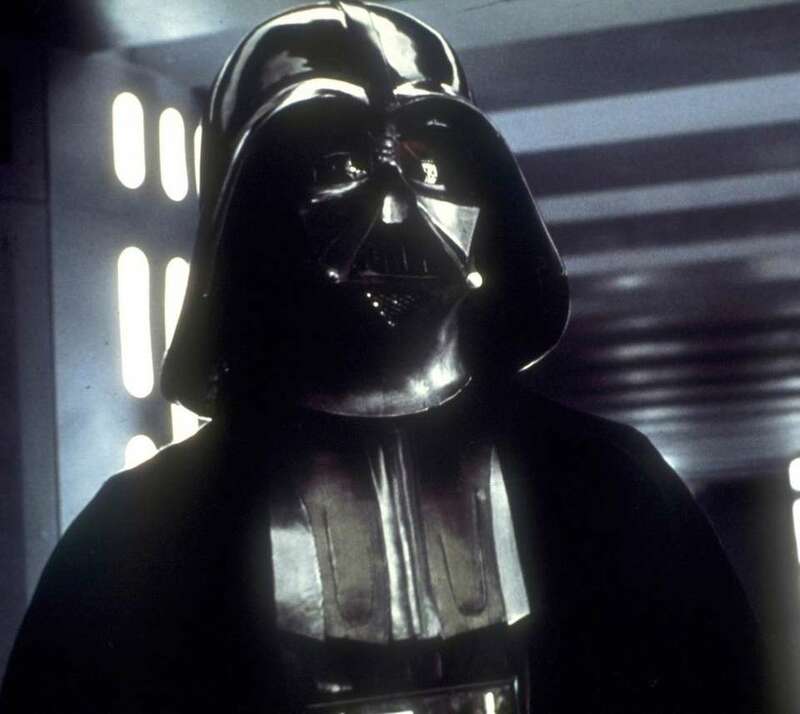 It may not be recognized by the federal government or most workplaces, but May 4 marks "Star Wars" Day, a semi-official holiday celebrated by fans of George Lucas' popular science-fiction franchise. Why May 4? Mostly, it makes for a good pun. 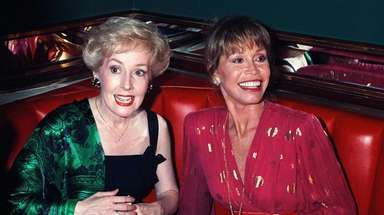 The holiday's slogan is "May the Fourth Be With You," a nod to the famous phrase "May the Force be with you," from the original 1977 film. According to StarWars.com, the official fan Website, that bit of wordplay probably first came from the Brits. The first recorded instance of it was on May 4, 1979, when Margaret Thatcher's political party placed an advertisement in The London Evening News to celebrate her becoming Prime Minister. The ad stated, "May the Fourth Be with You, Maggie. Congratulations." 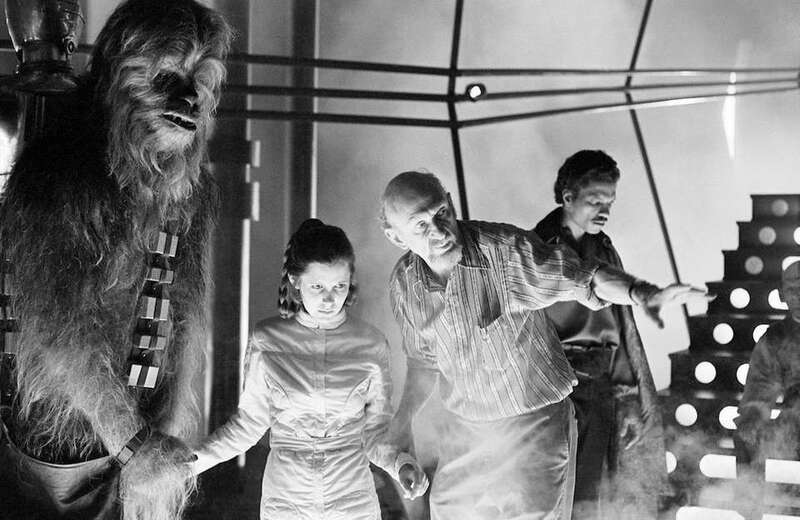 Celebrate the holiday with these behind-the-scenes secrets of the "Star Wars" film franchise, all courtesy of Walt Disney Studios. Anakin Skywalker's Podracer in "Star Wars Episode I: The Phantom Menace" (1999) was created from an interesting collection of vehicles and props. The front of the shuttle, in which Anakin sits, was made from the shell of a 1960's racing car called a Maserati Birdcage. 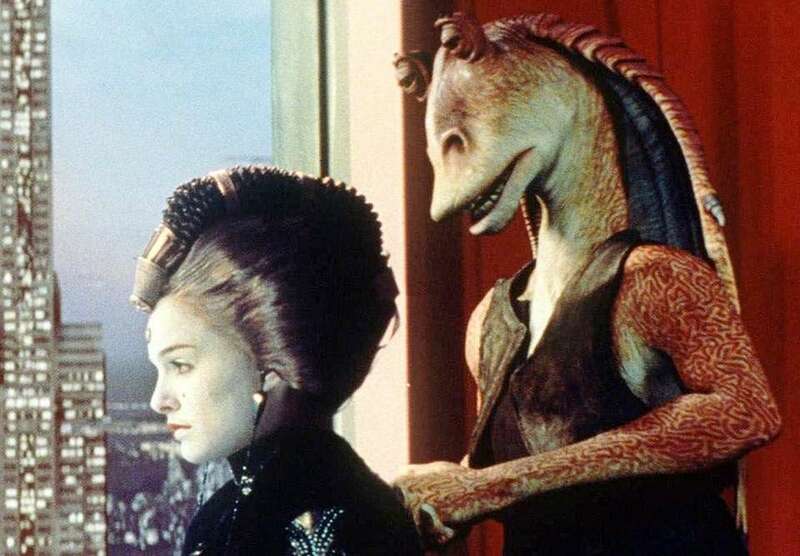 In total, a team of 45 animators worked on "Star Wars: The Phantom Menace." The team created more than 60 digital characters, including Jar Jar Binks, right. A crew of 15 animators worked solely on the iconic Gungan from the planet Naboo. 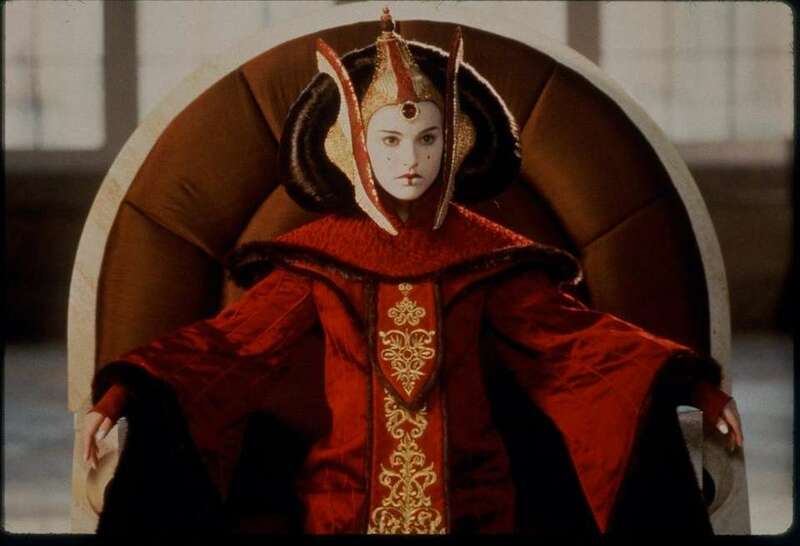 It took three to four months to create many of the intricate and lavish costumes worn by Natalie Portman as Padmé Amidala. Much of the fine detailing was hand-stitched to couture levels by a talented wardrobe team. 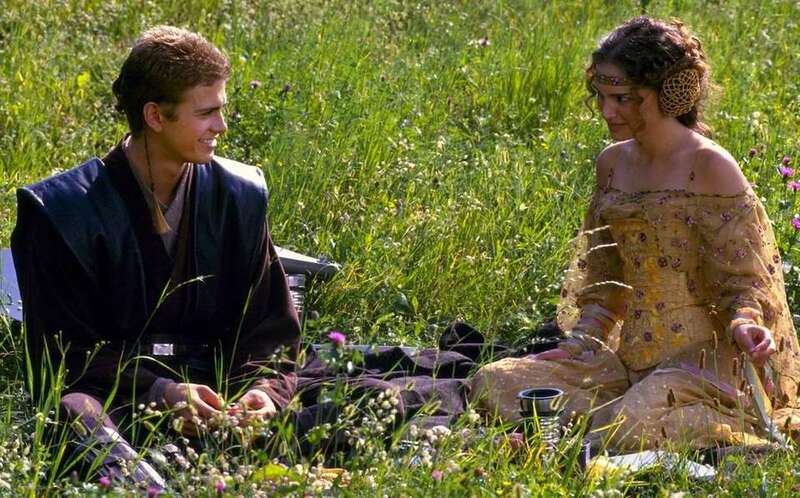 For 2002's "Star Wars Episode II: Attack of the Clones," a secluded lakeside retreat in Lake Como was the romantic setting used as the location for Anakin Skywalker and Padmé Amidala's first kiss. 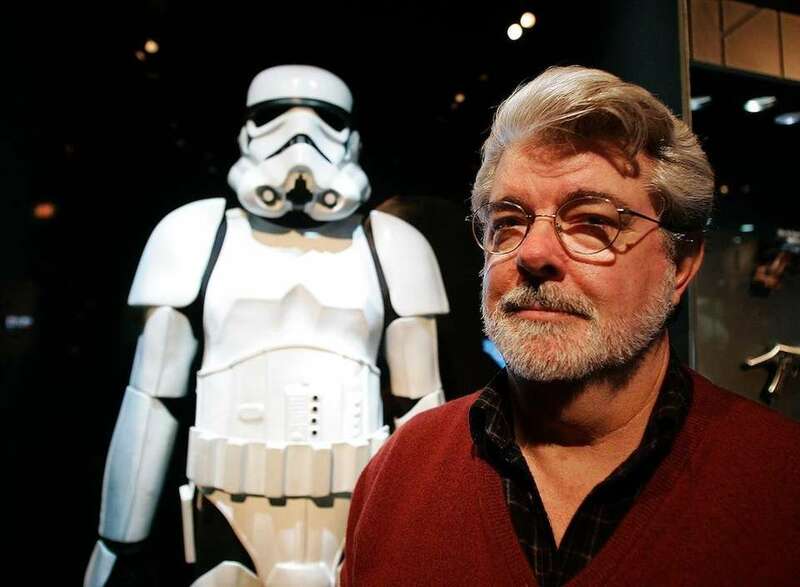 George Lucas was on vacation in Lake Como - and in the process of writing the script for the movie - when he decided that the ultra-romantic setting would be perfect for the film. Look carefully at the head statues in the Jedi Archives that Obi-Wan visits in "Star Wars: Attack Of The Clones." The busts are sculpted in the shape of some very famous Star Wars faces including George Lucas, animation director Rob Coleman, model supervisor Brian Gernand and visual effects supervisors Pablo Helman and John Knoll. 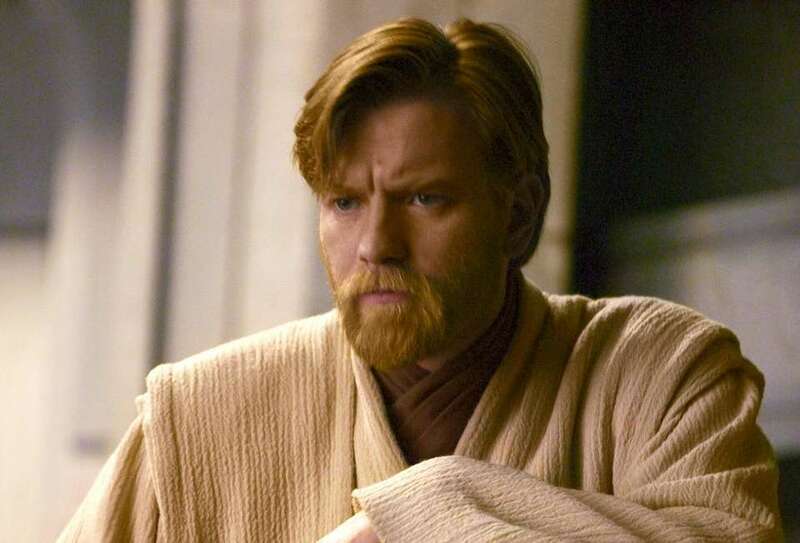 Here, Ewan McGregor is the young Obi-Wan Kenobi. 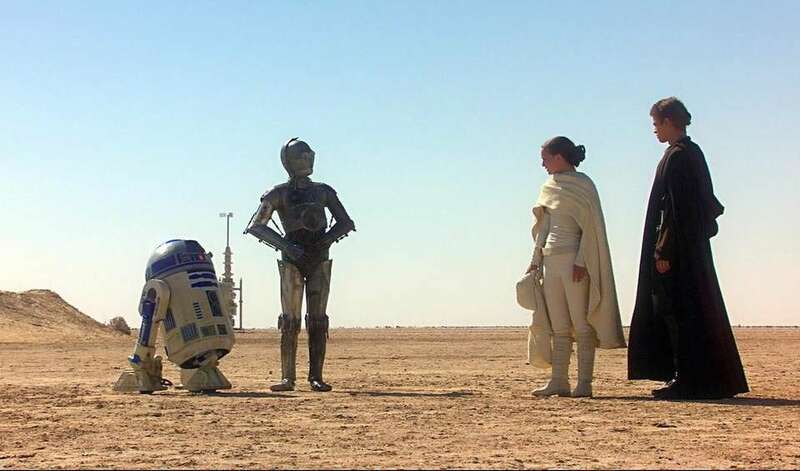 C-3PO actor Anthony Daniels makes a cameo appearance in the movie's club scene behind Obi-Wan and Anakin Skywalker. 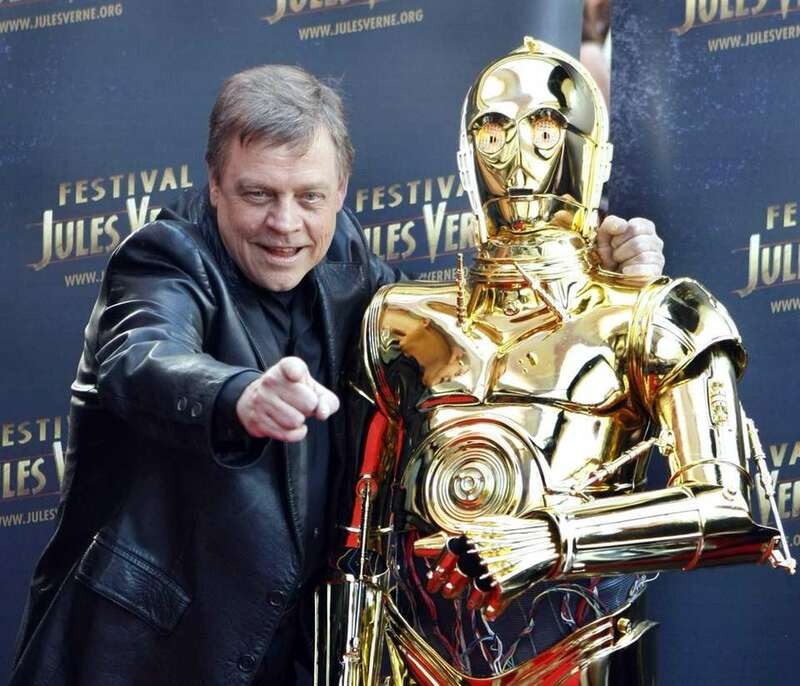 Daniels is not in his C-3PO outfit for the shot, but the actor's face is clear to see. The calm Kaminoan race appears briefly in "Attack Of The Clones." They are a very graceful and serene alien race - but they were completely CG in the movie. Fashion models and the elegance of tai chi inspired the movie's animators in creating Kaminoan characters Taun We and Lama Su. The scene where Anakin Skywalker, right, and Obi-Wan travel in an elevator at the start of Episode III wasn't in the original script. 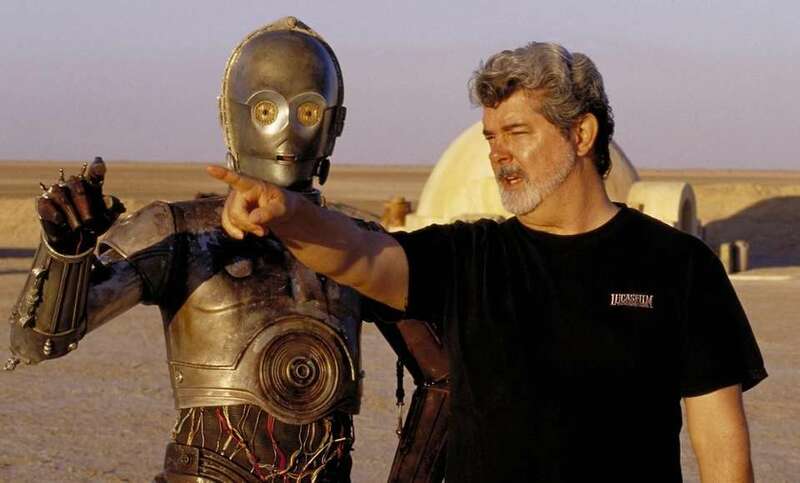 George Lucas wanted to add an introductory scene to the movie to show how well these two characters get along, even though there is a little tension between them in the scene that follows. In total, 72 sets created for "Star Wars: Revenge Of The Sith." 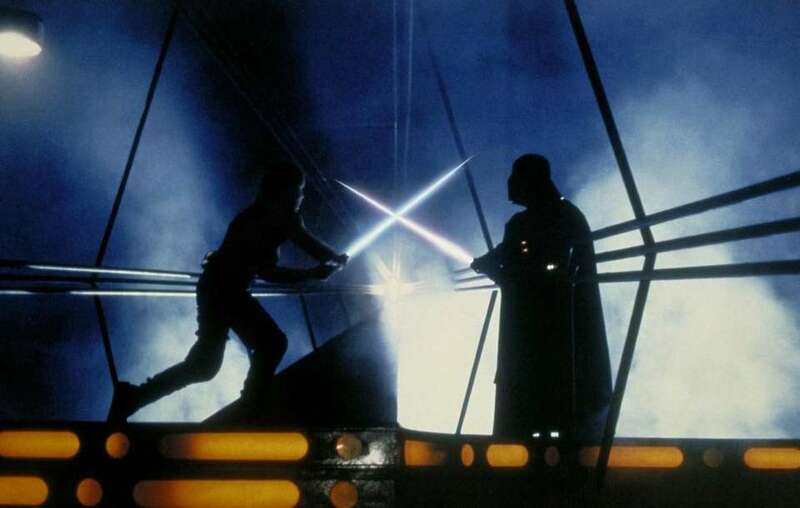 The largest set was the stage where Anakin Skywalker has an epic lightsaber battle with Count Dooku [played by Christopher Lee in the movie]. 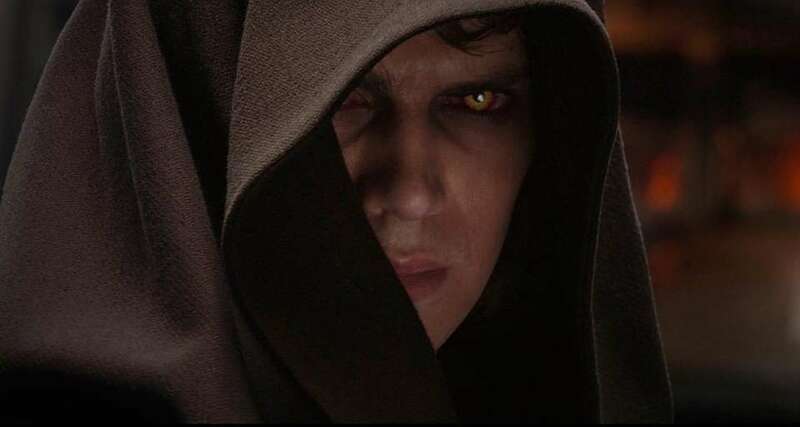 Christopher Lee wasn't on set when the fight scene between Count Dooku and Anakin Skywalker was shot. 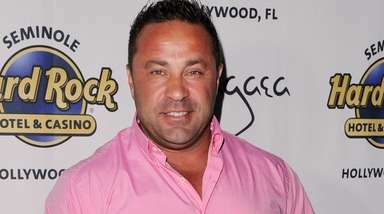 A stunt man performed the fighting choreography and his face was replaced with Lee's. In other parts of the scene, a completely digital Count Dooku was used, too. 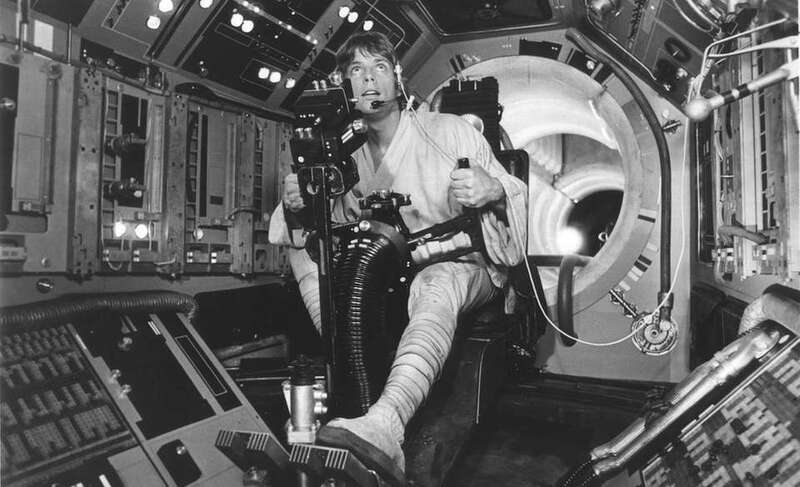 Adding a mechanical arm to Hayden Christensen's body in the movie's bedroom scene was an interesting challenge for the Star Wars special effects team. During the filming of the shirtless scene, Christensen wore a blue glove on set. The special effects crew later replaced the glove with a computer-generated robotic arm for the finished film. George Lucas and his two daughters make a cameo appearance in the hallway of the movie's elegant opera scene. George's daughters refused to appear in the movie unless their father joined them. In the finished film footage, the director has a blue face and can be spotted talking to his younger daughter. His oldest daughter is in the center of the hallway as Anakin Skywalker runs past. Despite "Star Wars: Episode IV: A New Hope" being a big-budget blockbuster, the creative team often built props as economically as possible. For example, the pod that C-3PO and R2-D2 use to escape in Star Wars: A New Hope was created from two paint buckets. It was only used in two shots in the movie. 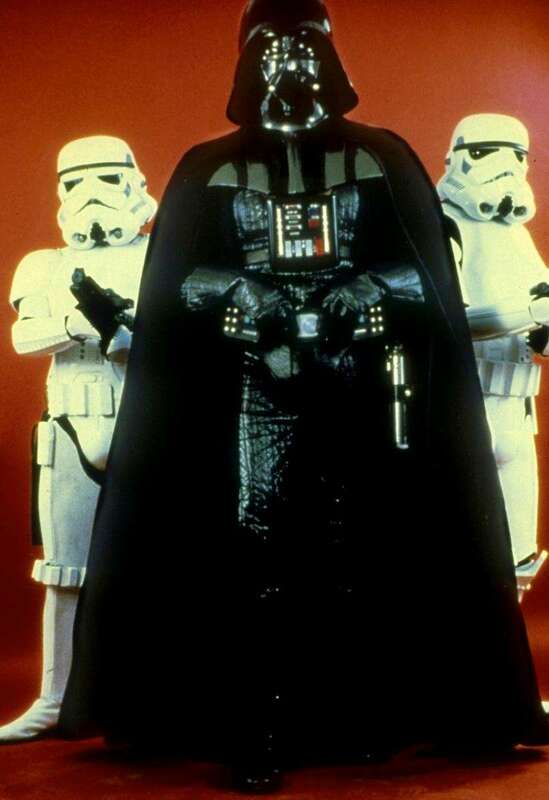 Ben Burtt is a Lucasfilm icon who created the many sounds of "Star Wars." To research the sound of the Star Destroyer at the start of Episode IV, he had a fairly unsuccessful recording expedition to White Sands Missile Range. 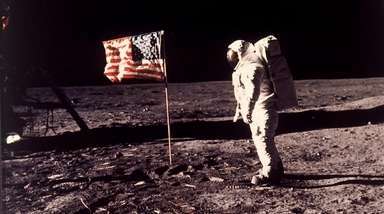 The sound designer was invited to record a number of military and scientific rockets taking off - but the result was crackly and poppy rather than the deep, rumbling and booming rocket engine. The sounds couldn't be used as he'd hoped. Look closely at the asteroids in "A New Hope." The creative team was criticized that their asteroid designs resembled potatoes -- but if you look in the far distance during Millennium Falcon chase scenes of "A New Hope," real potatoes were actually used. Archivists at Lucasfilm recently discovered the original lightsaber prop from "Star Wars: Episode IV." You can see the discovery in all its glory in the bonus extras from the new digital release, "Star Wars: The Digital Collection." Also, between 1975 and 1978, Charles Lippincott interviewed the cast and crew of "Star Wars: A New Hope." These tapes remained lost for 40 years. Now, you can hear excerpts from the tapes in the exclusive extras for the new digital release. In the "Star Wars" fan world, there's a lot of controversy about the color of the coat Han Solo wears on the planet Hoth in "Star Wars: The Empire Strikes Back." Many fans think the coat is blue, but it's actually brown. You can see it in the bonus extras of "Star Wars: The Digital Collection." 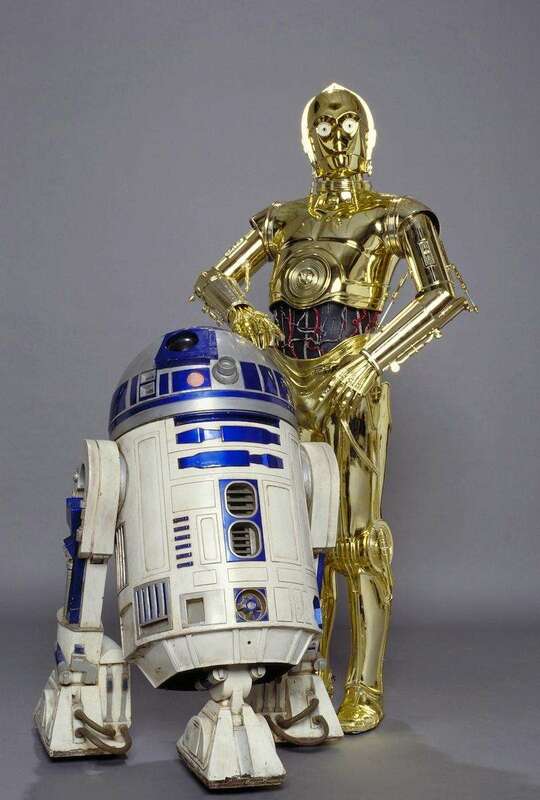 If Anthony Daniels fell over in his C-3PO costume, he couldn't get up on his own. The costume wasn't very flexible at all. In fact, the actor couldn't sit down whilst wearing it. Whenever you see C-3PO sitting in "The Empire Strikes Back," either you don't see below the waist or Anthony would sit down on set without the costume and they would build it up around him. Which everyday kitchen item was used to create the sound of C-3PO moving in the early movies? According to Ben Burtt, it was a couple of ice-cube trays being bashed around. Harrison Ellenshaw -- matte painting supervisor for "Star Wars" and "The Empire Strikes Back" -- is no stranger to Disney. Harrison is the son of Peter Ellenshaw, who was a matte painter for Disney for many, many years. Peter worked on iconic movies including "Mary Poppins," "Bedknobs And Broomsticks," and "Swiss Family Robinson" -- and he was named a Disney Legend in 1993. 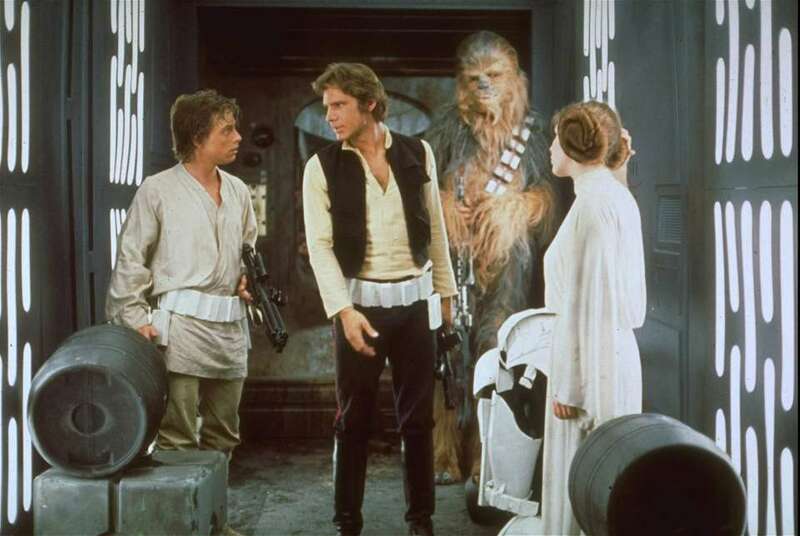 Harrison can be seen talking about the use of matte paintings in the "Star Wars" saga in the bonus extras for the new digital release, "Star Wars: The Digital Collection." Listen up when the carbonite block in which Han Solo is encased falls to the floor in "Star Wars: The Return Of The Jedi." What was used to create the sound of the carbonite mass hitting the ground? Ben Burtt simply recorded the sound of a big garbage dumpster outside his home. The iconic shot of Han Solo breaking out of the carbonite block was an interesting challenge for the movie's special effects team. The crew made a wax figure of Harrison Ford and shone a bright light behind it for part of the epic transformation. 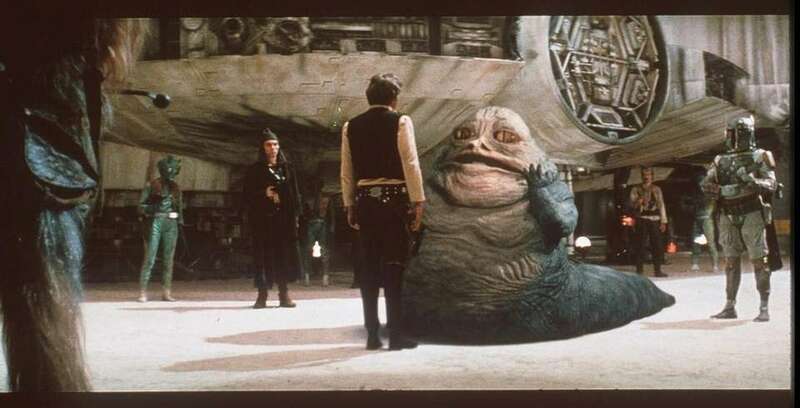 It was a huge task to move the mammoth life-size puppet of Jabba The Hutt on the set of "Star Wars: The Return Of The Jedi." The special effects team had to stand behind and inside the character in order to try and make him move as realistically as possible. 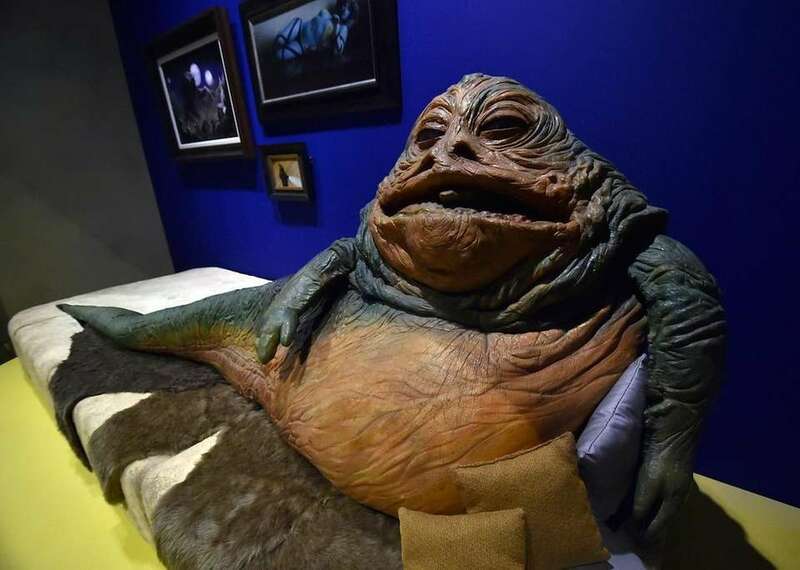 There's a crew member in the tail of Jabba, along with two crew members on remote controls, which were used to move the tongue and the eyes of the behemoth character. The sand dune backgrounds for the scenes in which Jabba The Hutt's barge heads to the Sarlacc Pit were all shot in Yuma, Arizona. When the background scenes were being shot, a sound crew was sent into the dunes - but the main thing they captured was sand in their equipment due to the high winds in the area! Instead, the sound crew headed off to a local naval air station where they recorded jets landing and taking off. These sounds became the basis for a lot of the speeder bikes seen later in the movie.